We moved into a 3 bedroom apartment, and I made one of the rooms into a dedicated arts & crafts room for myself. The room initially had a weird, beige flower print wallpaper on two walls, yet a strange diagonal pattern wallpaper on the other two walls–and my goodness, how they CLASHED! I kept feeling like, hmm…did they just take some random scraps and put them together in this room? Buuut…this was a brand new complex, which means they made this horrible design choice hundreds of times over throughout all the units! I knew I wanted a decorative element on one of my walls, so I came up with the photo collage you see in the above photo. 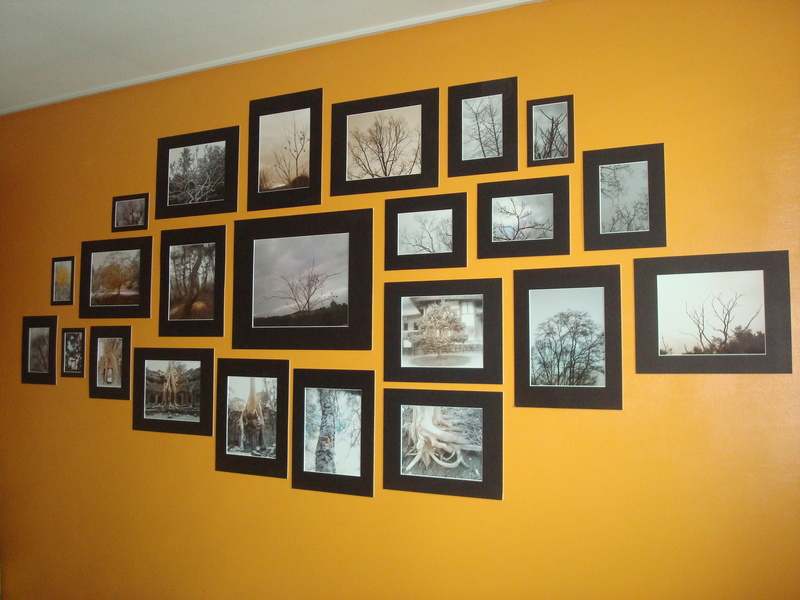 I really love taking photos of trees, so I featured part of my tree photo collection with bold black mats, and arranged them into an organic pile on the wall. We have since moved from this home, so it’s been sad to say farewell to my lovely Tangerine Room, but it certainly lives on in my memories, and in funny pics like the one below. This picture was taken after the room was painted, but before I arranged all my things back into the room, and my goodness, the room was disaster zone for a while. 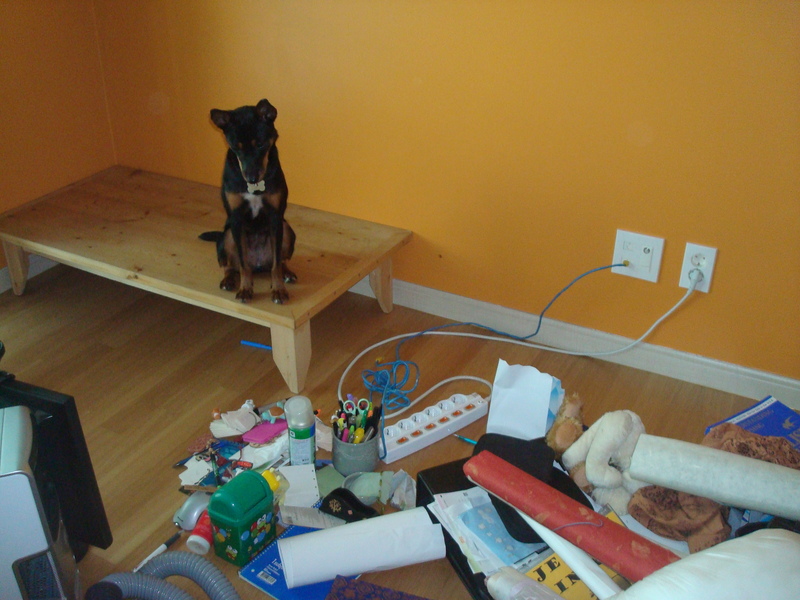 As you can see, my rescue dog Webby needed to take refuge on a low table!